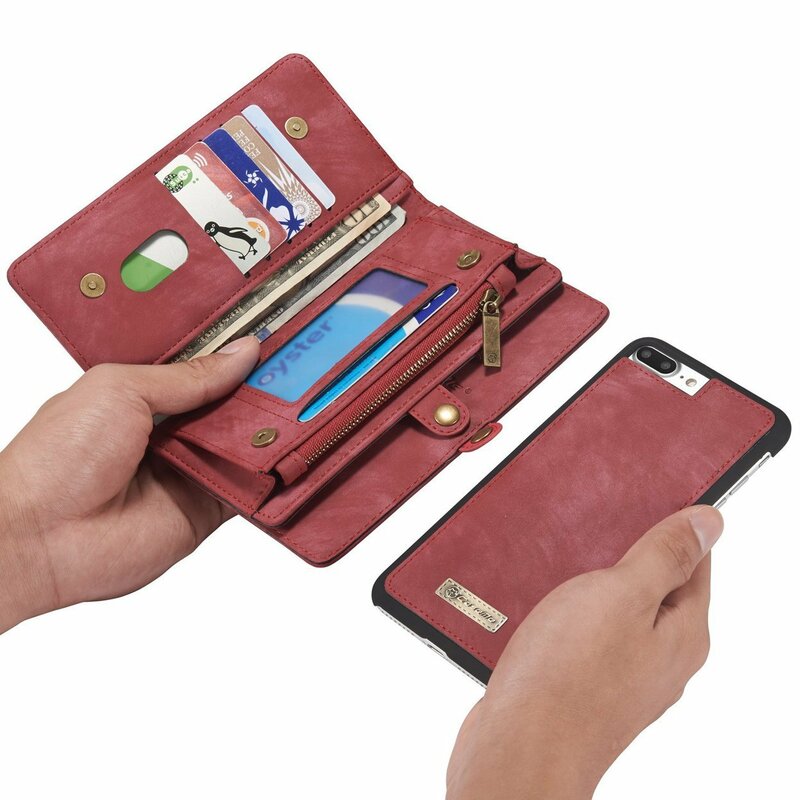 A 2 In 1 iPhone 7/ 7Plus and iPhone 8/ 8Plus removable magnetic Phone Case With Wristlet... Get this case and you will be glad to make this choice as the case gives you convenience, it slides out and detaches from the wallet when you want to use the phone and attaches back with a magnet when you want to carry it safe and secure..! 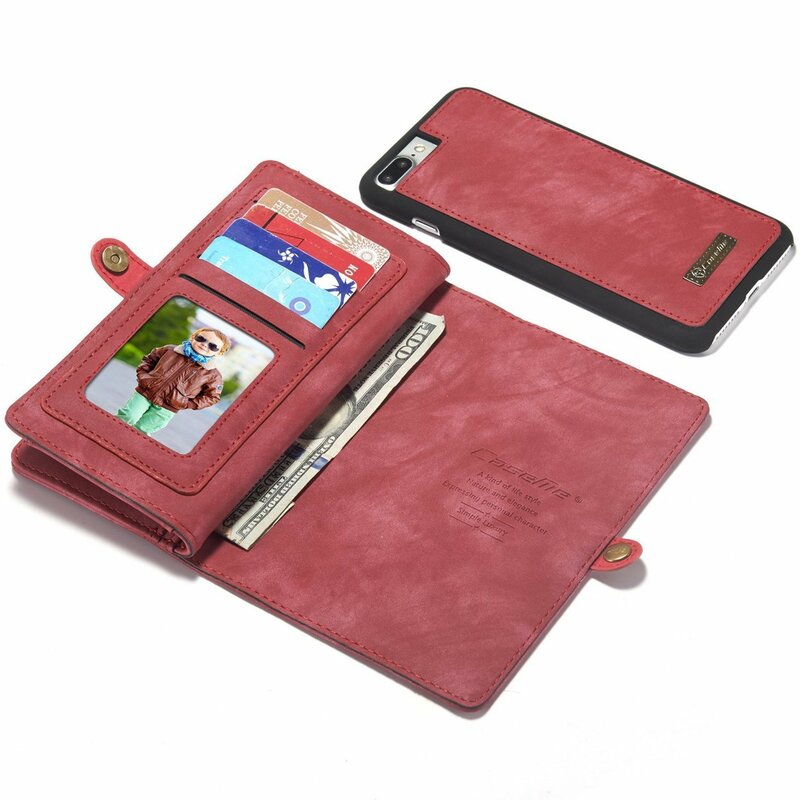 The Wallet and Case are made of faux leather that is soft to the touch and has the feel of real leather without the hefty price. 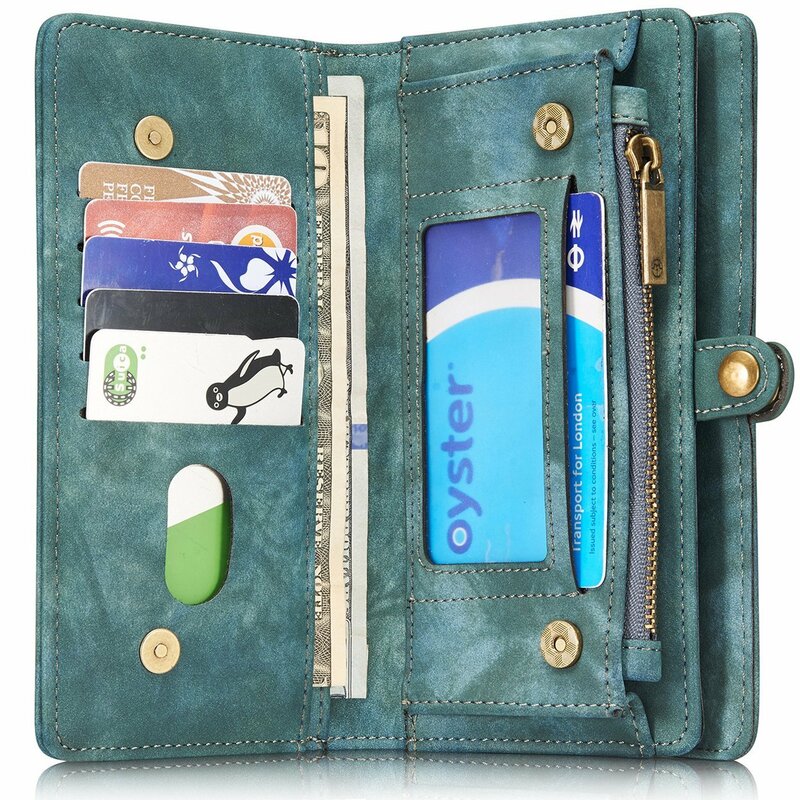 The case has a cut-out eye for the camera and the wallet has multiple slots for credit cards and ID cards along with a money storage compartment that makes you feel like a million bucks when everything is at your fingertips... 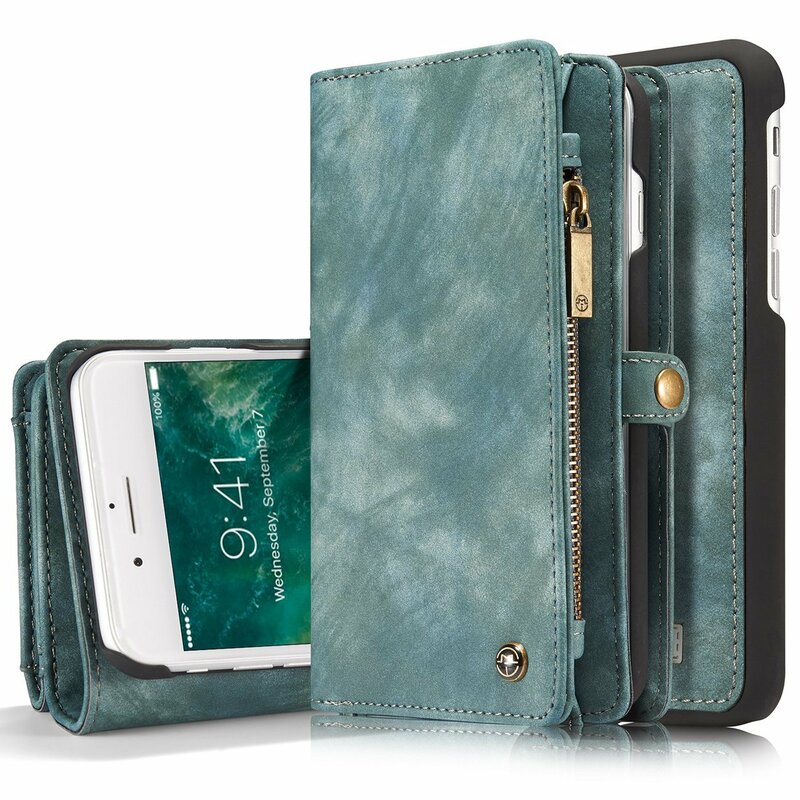 DETAILS: Perfect fit for iPhone 7, 7Plus and 8, 8Plus. 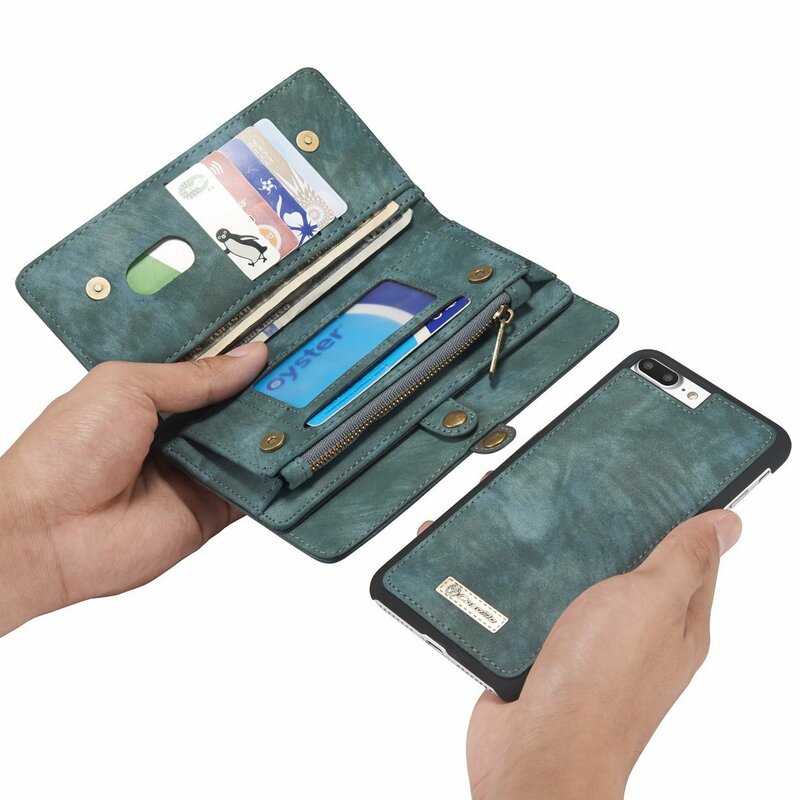 It comes with a wristlet too. It comes in Multiple colours.